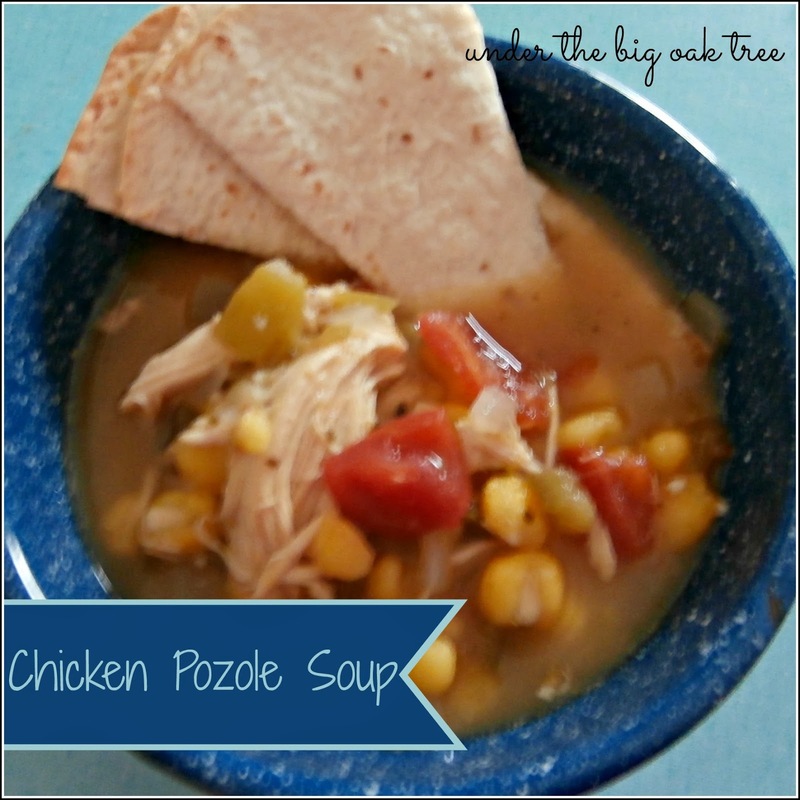 I'm not very familiar with Pozole. I read somewhere that it's traditionally made with pork. I also read that it's traditionally topped with shredded cabbage. Well, we're throwing out the tradition since the only reason I made this soup is because it contained hominy, another food that I'm unfamiliar with, and I wanted to give it a try. I switched up the recipe slightly, based on what I had on hand, what I thought looked good and what I wanted to use up from my vegetable bin. Serve with quesadillas on the side or with a handful of crushed tortilla chips sprinkled on top! Cheese or sour cream would also make excellent toppings! Sorry for the blurry picture. I was very eager to dig in! In a large dutch oven, cook onions and peppers in 1/4 cup chicken broth over medium heat until onions begin to turn translucent. Stir often, adding another 1/4 cup of broth if needed. Add garlic and allow to cook for another minute or two. Stir in the hominy and the liquid from the cans along with the salsa verde, tomatoes and diced chiles. I added the chicken at this point, too, since it was still frozen. Bring to a boil. Pour in the remaining broth, cumin and oregano, return to a boil. Traditional or not, we didn't know the difference. Either way, we really enjoyed the flavors and texture of this hearty soup. This will be hitting our table again soon!